While figures are still down in all categories when we compare year over year (YOY) to a time before the Ontario government’s “Fair housing plan”, we are happy to see the highest figures recorded for both volume and price since June of 2017. It seems likely that by June 2018 we will be starting to see YOY increases once again. 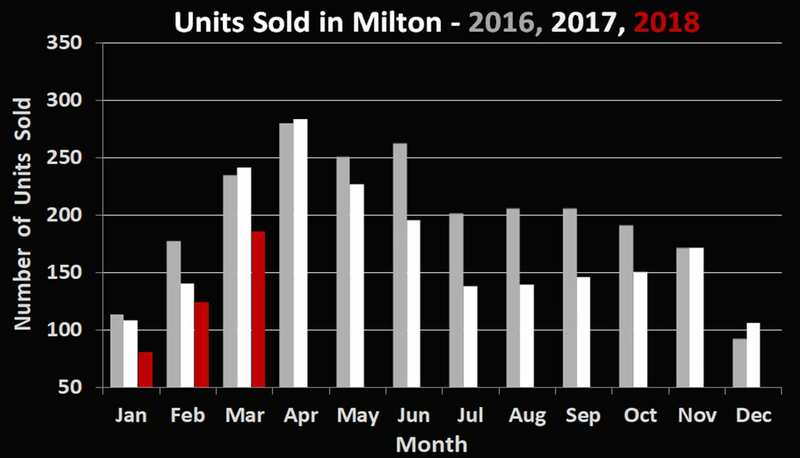 Milton’s 186 residential sales in March 2018 represent a decrease of nearly 30% when compared to March 2017. 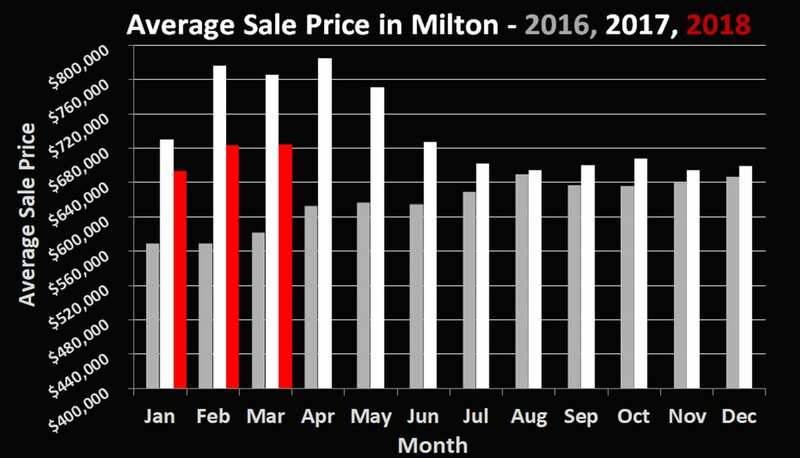 The average sale price of $684,800, while up slightly since last month, is still down roughly 11.8% in the last 12 months. With inventory numbers at around a normal seasonal average, it seems like we will be experienced a balanced spring market with slight to modest growth. One thing we have observed in this market is a distinct imbalance between homes at the lower end of the market (towns, semis, condos) and larger detached homes. The market for these lower priced homes has been incredibly active in 2018, with many selling over asking and with few days on the market and prices up nearly 4%. On the other hand, larger home prices haven’t changed much and inventory is substantial. With the price gap between these two types of homes being smaller than it been in recent memory, now is a great time to consider an upgrade or the next step for your family. If you’re looking for an upgrade this spring season or know someone who is, don’t hesitate to give us a call or send us an email. We’re never too busy to chat.